This week: Keyboard options for writers of all stripes, plus protective goodness made (the manufacturers claim) from the finest materials. 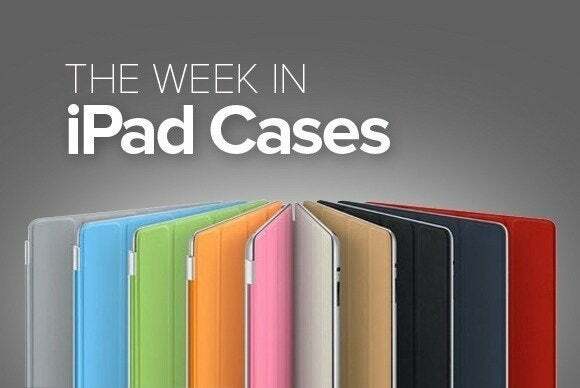 Keyboards feature prominently in this week's iPad-case roundup, with plenty of options for writers of all stripes. 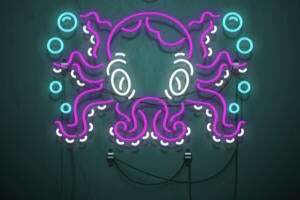 For everyone else, we have a few other specimens of protective goodness made, as their manufacturers inevitably claim, from the finest materials. 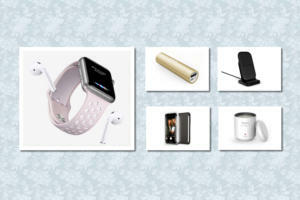 The TC930 (iPad Air; $80) is a cover for your iPad's screen that comes with a rechargable ultra-thin Bluetooth keyboard. 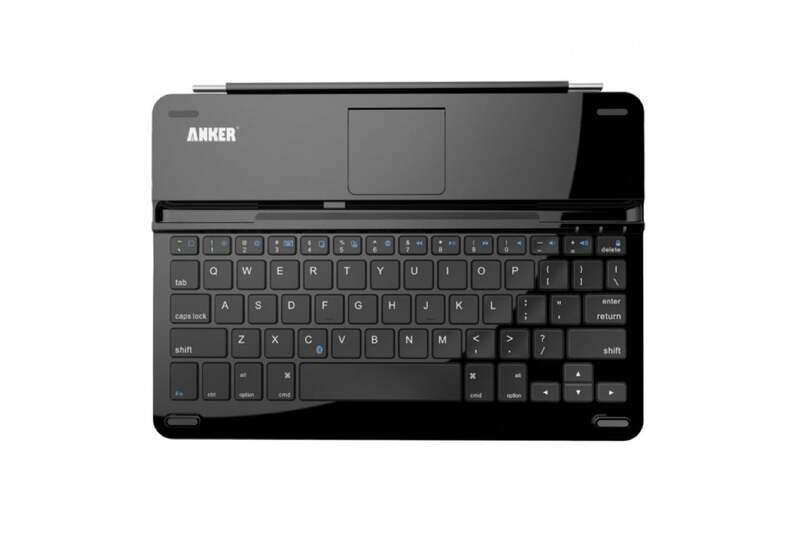 The keyboard gives you 300 hours of uninterrupted working time, or 300 days in standby mode. 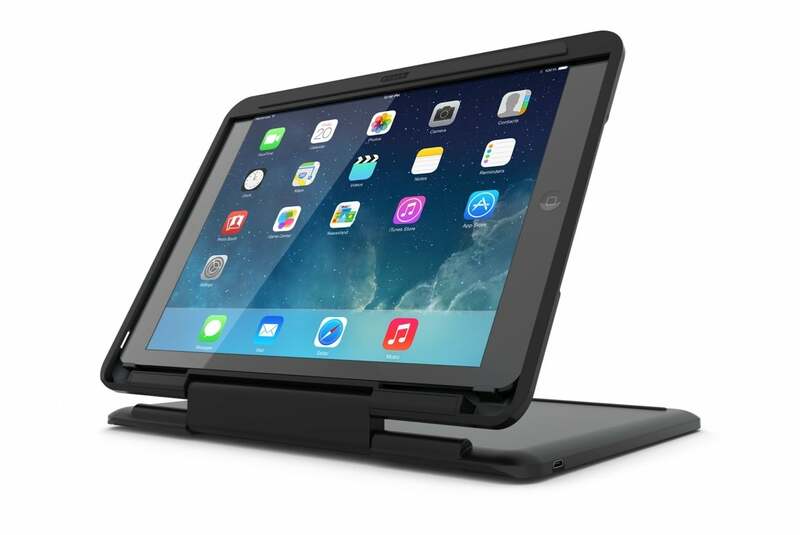 Available in black, the case attaches, Smart Cover-like, to the side of your iPad using magnets. It also functions as a viewing stand in landscape orientation. 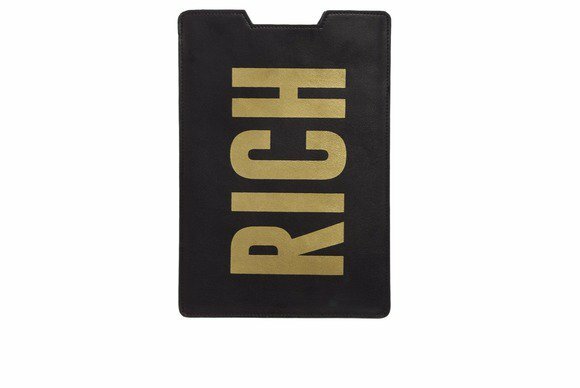 The Rich (iPad mini; $30) is made from a leather-like fabric with a smooth, matte finish and sports a slim inner compartment that you can use to stash some papers alongside your tablet. The case comes in black, with either white or gold lettering. The Slims (iPad Air; £30) is a collection of cases made in the U.K. using traditional bookbinding materials and a wooden frame. Available in black with a black, blue, or red interior, each case in the series is compatible with the iPad Air's magnetic sleep/wake feature. The Crux360 (iPad Air; $99) is a lay-flat case that incorporates a wireless Bluetooth keyboard and comes in either white or black. The accessory is designed to give you the feel of a notebook when you need to do some serious typing, but also to go into a convenient “tablet” mode in which the cover flips around completely, leaving you free to interact with your iPad as you normally would. When closed, the case also protects the tablet's screen from bumps and scratches. 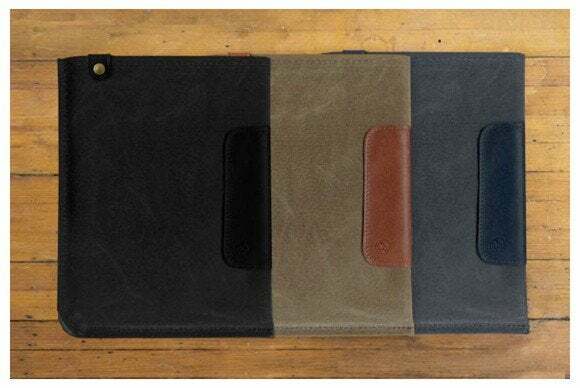 The Durables Sleeve keeps your tablet safe and sound when you're not using it by cocooning it in a luscious combination of waxed canvas, recycled felt, and cotton twill. The sleeve comes in midnight, sage, navy, or natural canvas. 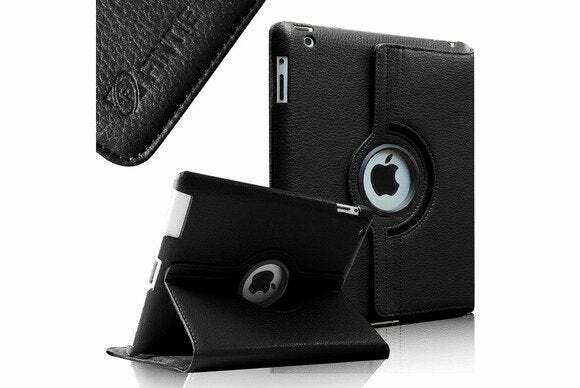 The 360 degree (iPad 2, 3, and 4; $30) is made from synthetic leather and features a dual layer with a cover that doubles as a viewing stand in landscape orientation. 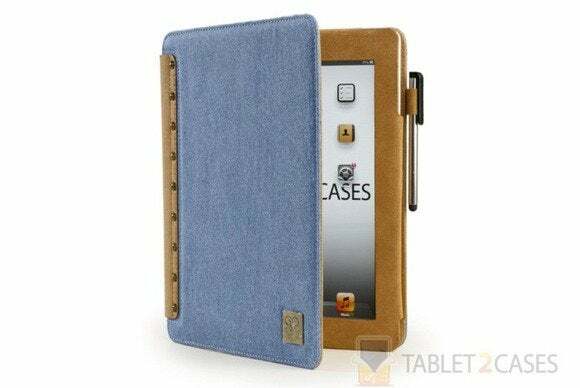 The case, which is compatible with the iPad's magnetic sleep/wake feature, comes in 25 different color and pattern combinations. 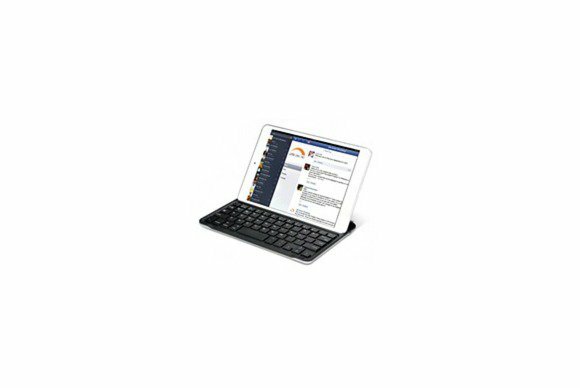 The LuxePad i9010 (iPad mini; price unavailable) features a built-in Bluetooth keyboard designed to work with your tablet for a seamless typing experience. 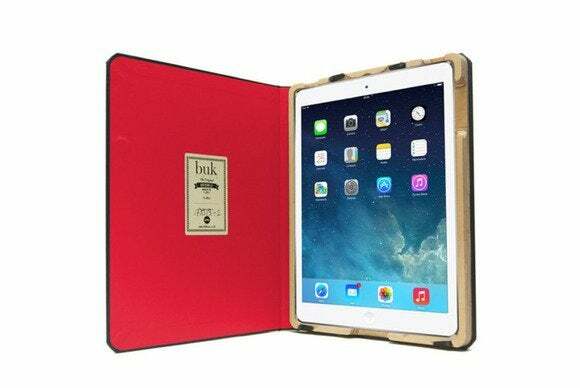 When not in use, the case also doubles as a cover that keeps your iPad mini safe and is compatible with its magnetic sleep/wake feature. The Solo Smart (iPad 2 and 3; $50) is designed to work alongside Apple's Smart Cover, locking into place while protecting the back of your tablet. 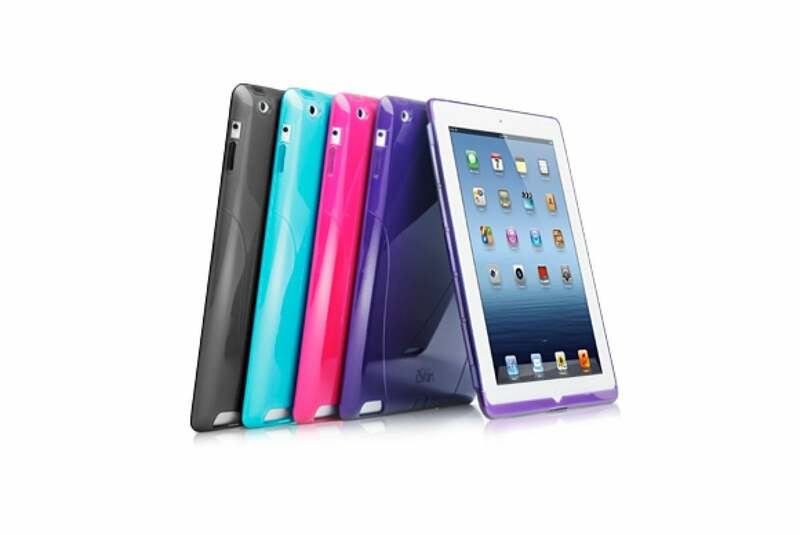 The case comes in clear, or translucent hues of black, blue, purple, or pink. The Cooper Postpad (iPad 2, 3, and 4; $50) is a folio-style case with a denim exterior and a microfiber interior for maximum protection and a unique look. It comes with either a black or grey bezel. The case is compatible with the iPad's magnetic sleep/wake feature, doubles as viewing stand in landscape orientation, and even includes a convenient stylus loop.